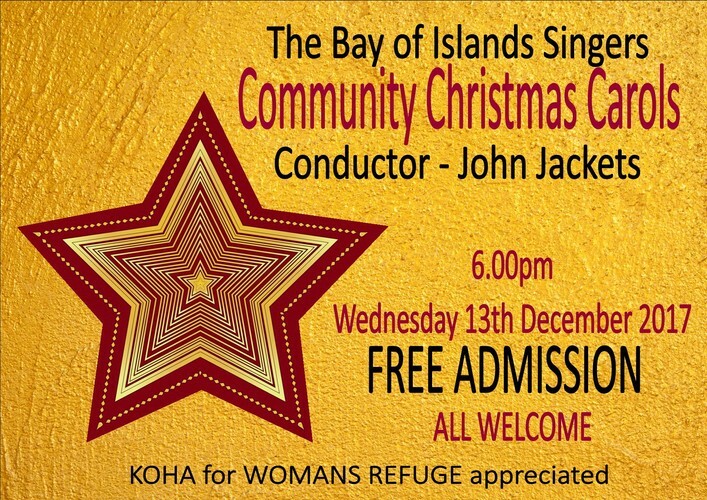 Come along and enjoy Community Christmas Carols with the much loved Bay of Islands Singers. This is a free concert but all kohas received will be donated to Women's Refuge. All welcome.